by Dr. Racho Donef — Sydney, Australia. 2004. 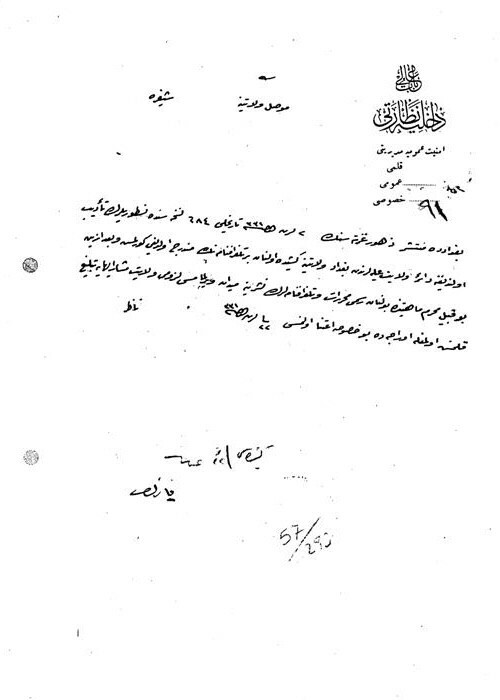 The following five documents from the Ottoman Archives, which, to my knowledge, have never been published retain the Deportation of Assyrians as a connecting thread. 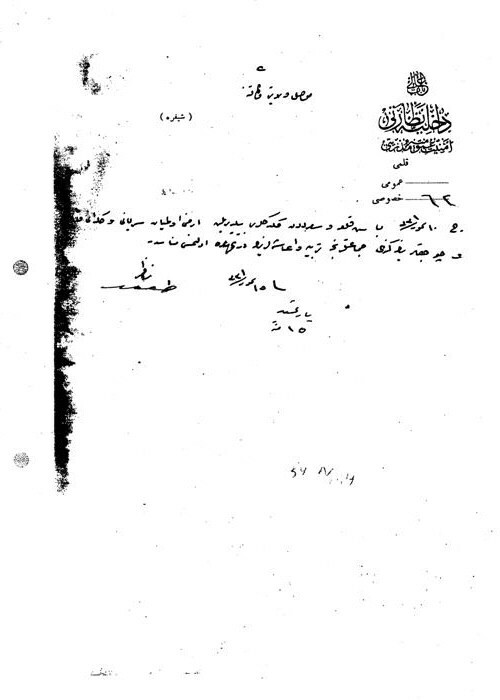 All documents are telegrams sent from the Ministry of the Interior of the government of Ittihat and Terakki (Union and Progress), mostly known as Young Turks. The telegrams are sent to the governors in the provinces of Van, Mosul, Diyarbakir, Mamuretu’l Aziz, Halep (Aleppo) and Bitlis. The documents show that all Assyrian denominations be it Nestorian, Chaldean or Syriac Orthodox and Catholic, have been affected by the turmoil of deportations. 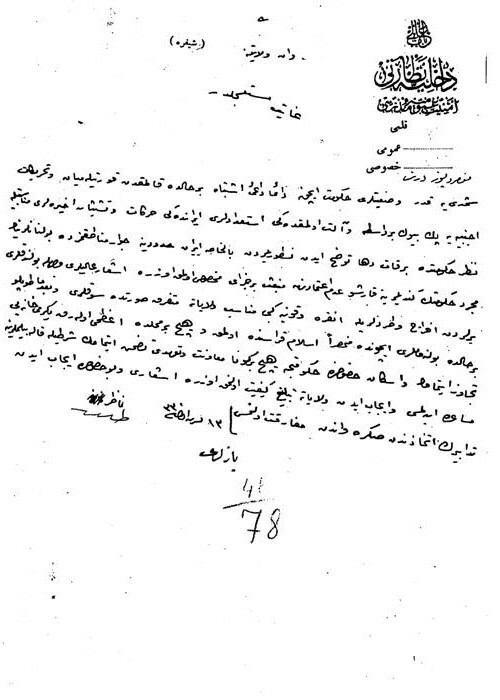 Although the telegrams make no mention of massacres, the telegram of 7 October 1915 (Document 5) acknowledges that many villages around Mardin, Midyat and Diyarbakir were empty. No doubt these villages were once populated by Christians. The term used in the telegram “deserted” somewhat masks the turmoil that preceded. The Christian inhabitants of the “deserted” were either massacred or had to flee to avoid the fate decided by the Young Turks. The government having caused evacuation of the villages through physical elimination and then sought to repopulate villages with Turks from the Balkans, inevitably altering the ethnic make up of the region. These documents have been located through the tireless efforts of Jan Bet-Sawoce. The position of the Nestorians have always remained doubtful for the government due to their predisposition to be influenced by foreigners and become a channel and an instrument. Because of the operation and efforts in Iran, the consideration of the Nestorians for the government have increased. 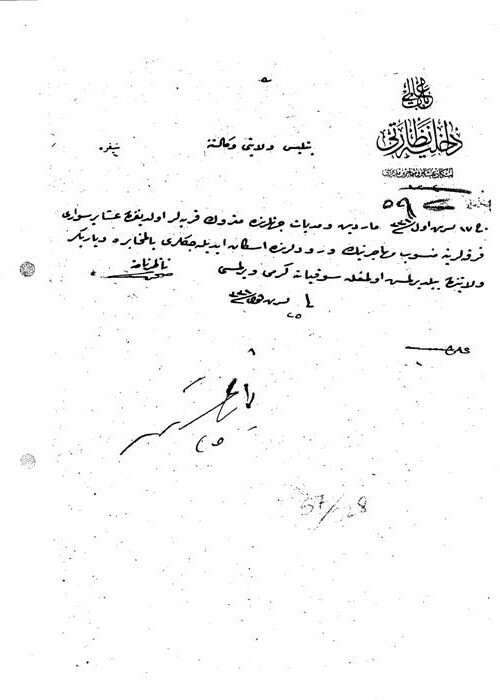 Especially those who are found at our border area with Iran, due to the government’s lack of trust of them resulting in punishment … their deportation and expulsion from their locations to appropriate provinces such as Ankara and Konya, to be transferred in dispersed manner so that henceforth they will not be together in a mass and be settled exclusively among Muslim people, and in no location to exceed twenty dwellings and on the issue of settlement, with the proviso that the government will not undertake to provide any type of support, to be permitted to stay and transmit the communication to the appropriate Province and after the dispensation of the matter to depart from Van. 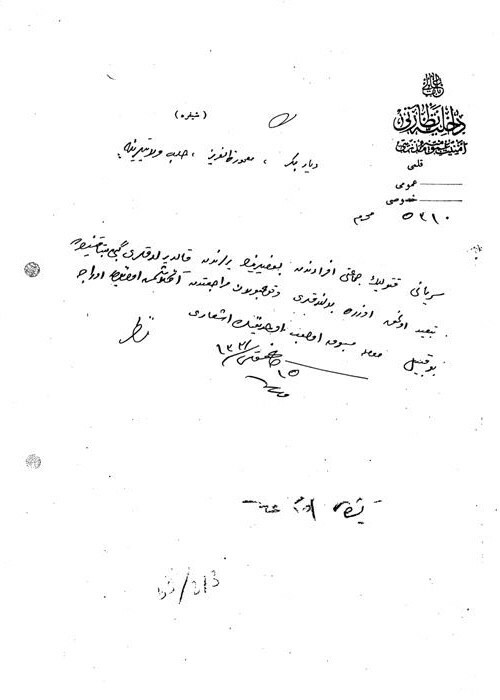 It has been observed that, in the 16 October 1915 dated, 684 numbered edition of “Zuhur Newspaper”, printed in Bagdad, has published a telegram regarding the removal of the Nestorians sent from your Most High Province to the Province of Bagdad and henceforth … the need not to give the opportunity for publication of official correspondence and telegrams of this sort has been communicated to them and the matter has been given serious consideration. As there are deserted villages around Mardin and Midyat, the Province of Diyarbakir has been informed that the immigrant members <5> of the Division Public Order Cavalry, may settle there and that efforts to be made to dispatch them.